The charter yacht Integrity, a 141-foot Gulf Craft motoryacht, is offering a $10,000 discount on selected 2012 dates. M/Y INTEGRITY is fully air conditioned and sleeps 16 guests in nine cabins (1 King suite, 6 cabins either as Twins or King, 1 Queen, 1 Single) and is available for charter in the beautiful exotic islands of the Galapagos year round. The guest cabins are all located on the main deck and each has TV/DVD and CD players, mini-bar, ensuite head with shower. With this exciting adventure vacation, you will have the opportunity to view amazing wildlife such as whales, dolphins, fur seals, marine iguanas, frigate birds, and also swim and snorkel with sea lions and penguins. 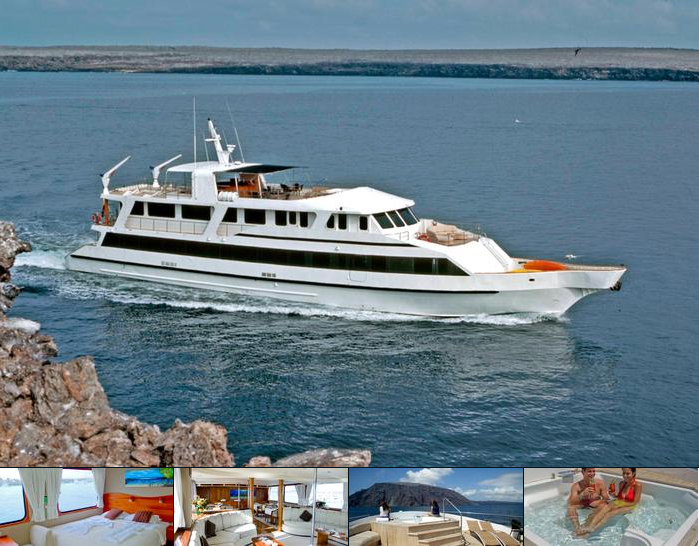 M/Y Integrity charters in the Galapagos Islands year round.